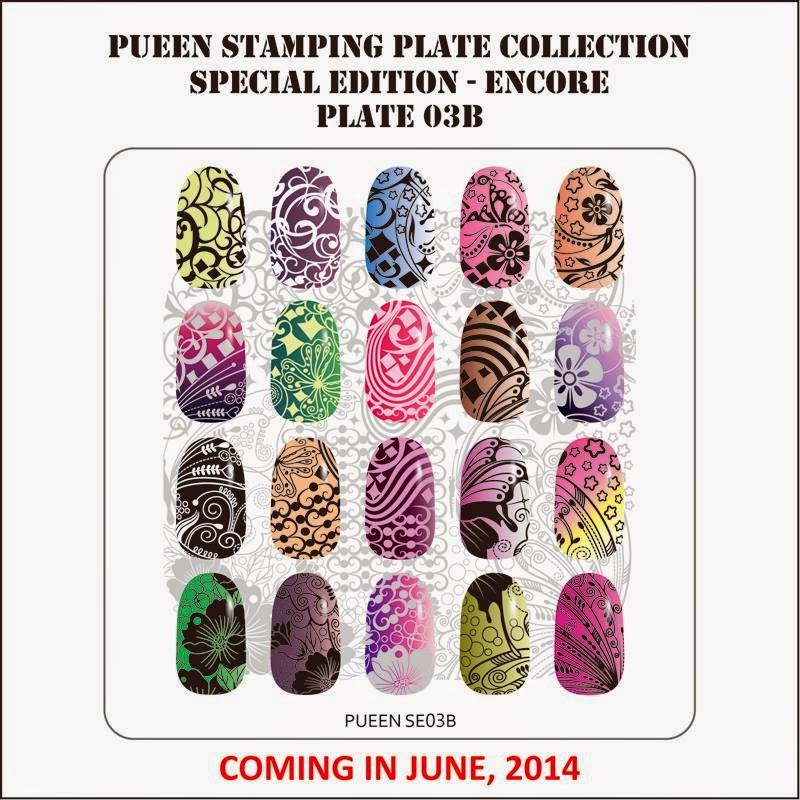 Lacquer Lockdown: Hot Off The Stamping Press: Pueen Encore Collection Updates!!! 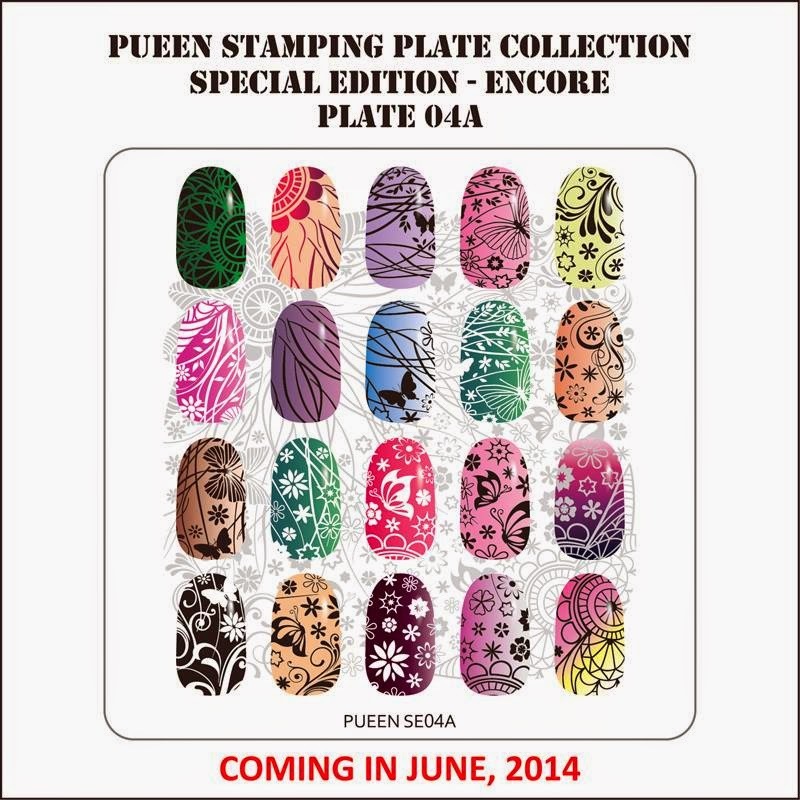 Hot Off The Stamping Press: Pueen Encore Collection Updates!!! 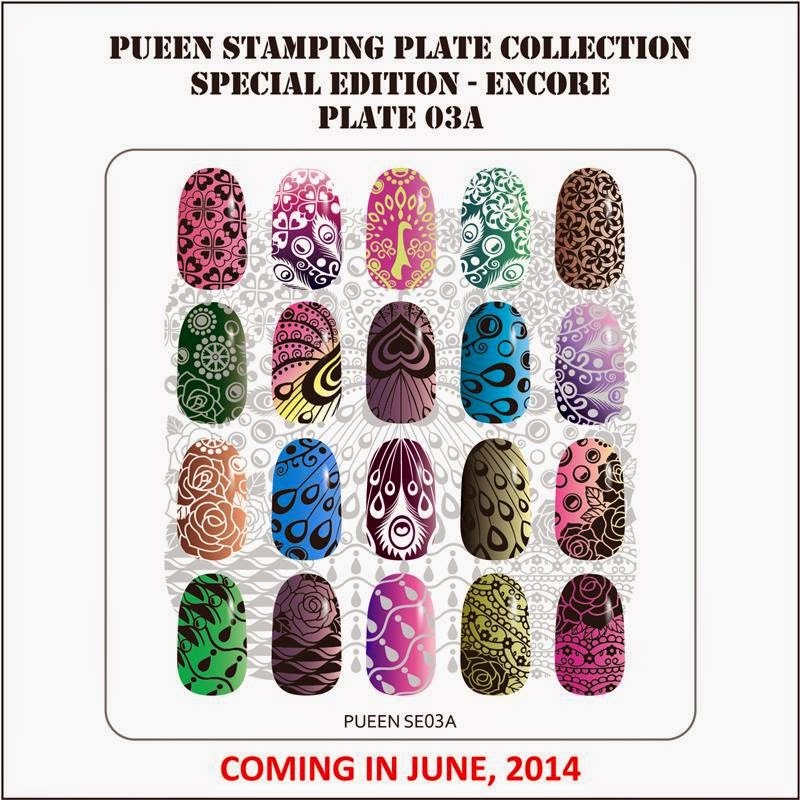 As you know or may not know the Pueen Encore Collection is slotted to be a follow up to the wildly popular Stamping Buffet infinity style/landscape set of plates that released in January of this year. This set is comprised of a total of 4 plates and the kicker is that the plates are double sided i.e. have images etched on both sides of the plates. We, as in the royal we darlings, had been waiting with baited breath for Pueen to reveal more to us in terms of the collection regarding pricing, release date, etc and now I have all of that information for you today. Pueen has announced these plates will be available for pre-order on June 15th directly from Pueen Cosmetics on their Store Envy site. They will then be releasing officially on June 18th. My guess is for those who wish to purchase via Amazon purchasing will also be delayed for several days after the 18th as it was with the Stamping Buffet collection release in January. 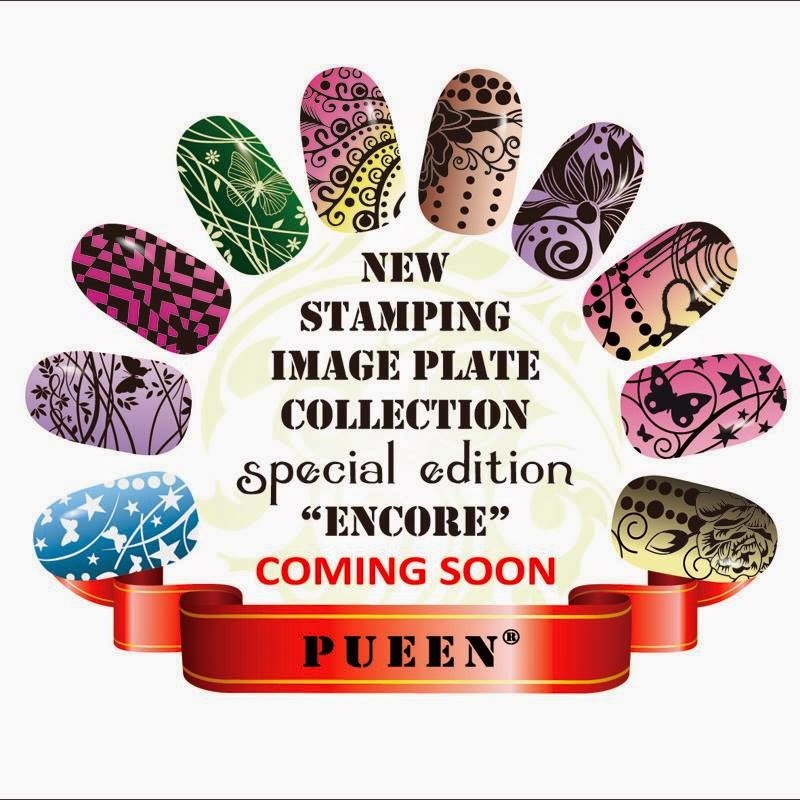 Pueen has also informed us that the plates will be 10 x 10 cm and will be covered with a plastic frame to prevent the edges of the plate from cutting the user while stamping. Interesting...The set will also come in the standard Pueen leather case scaled to the size of the plates and will retail for $24.99 USD.